There are some games that really task your logical ability, like ON/OFF, one of the hardest games ever ON/OFF: One Of The Hardest iOS Puzzle Games You Will Ever Play ON/OFF: One Of The Hardest iOS Puzzle Games You Will Ever Play When you play a game on your iPhone, are you looking for something relaxing and easy-going that will just kill a few minutes? If so, ON/OFF is another quick blast you should download. Read More . 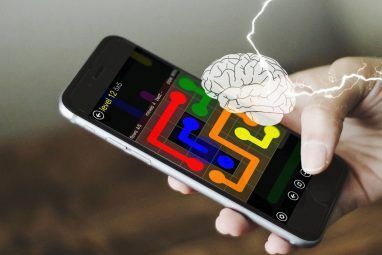 But there’s a certain satisfaction when you conquer that seemingly insurmountable puzzle — the game empowers you with the feeling of intelligence. So I looked back at other games which have made me feel that way, the ones that pose great puzzles and a tendency to make you feel good about solving them. 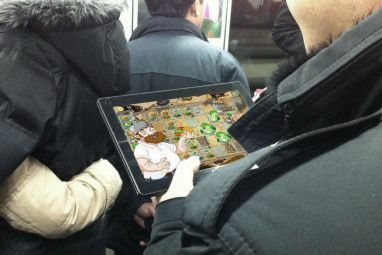 Of course, they are enjoyable games regardless of the puzzles as well! Valve’s Portal series is among the top first person shooter games for Mac OS X The Top 7 FPS Games for Mac OS X The Top 7 FPS Games for Mac OS X In the war between PC and console gaming, the former is just assumed to always be Windows. But what about Mac? 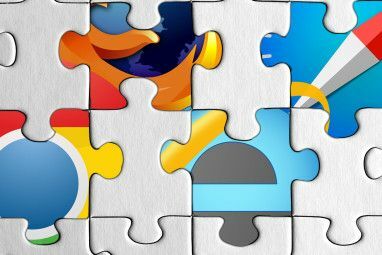 Sure, there isn't a huge number of games available for Apple's desktop operating system,... Read More , Windows and Linux. It’s also arguably the best puzzle video game ever made. 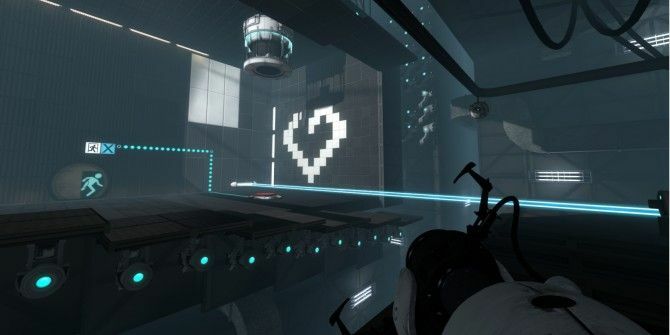 As a human test subject trying to escape from a lab guarded by artificial intelligence, you need to use the Portal gun to solve puzzle after puzzle in each level. The Portal gun lets you shoot at surfaces and create teleports. The rest is just physics–and it’s the finest physics engine in video games. Don’t skip straight to the second part; the first game is still relevant in both graphics and gameplay, so enjoy that and then move to the sequel. I was torn between Braid and Prince of Persia: Sands of Time for a game that makes you alter time to figure out the solution, but in the end, Braid won because of its superior puzzles. It’s one of the best platformers for less than 10 bucks The 10 Best PC Platformers Under 10 Bucks The 10 Best PC Platformers Under 10 Bucks The PC probably is not the average gamer’s first choice when it comes to platforming, but this is only because other genres overshadow the robust selection of platformers that are available for computers. In fact,... Read More , with some wonderful story-telling and a cool art style, but it’s the puzzles that are the winner here. You’ll spend a long time figuring out some of them, but when you do get the solution, it’s an amazing feeling. Try not to resort to a walkthrough, but there may be times you need it — I’m looking at you, World 5 Level 7. A thief, a knight and a wizard walk on a quest. No, it’s not the start of a bad joke, this is what Trine is all about. Each of the characters has unique powers that you need to utilize to solve puzzles in this platform title, which is among the best indie games ever 10 Indie Games So Good, You’ll Forget They’re Indie At All 10 Indie Games So Good, You’ll Forget They’re Indie At All There may be times, however, where you want something different from the indie norm. A game that follows indie values, yet is made with the quality that top-shelf AAA games are known for. Titles like... Read More . You can seamlessly switch between the three and use physics and magic to keep progressing. Trine’s best part is the co-op gameplay it offers, so if you have two buddies, team up for some great times! World of Goo starts off innocently enough, showing you these adorable goo balls that you can connect to each other and stretch to form bridges and structures, taking your goo balls from one place to another. But quickly — and perhaps too quickly — the puzzles become very difficult and you might be stuck for a long time. And if that wasn’t pressure enough, you also have to try to use the least number of goo balls in each level. Look, no one said it was going to be easy. Tomb Raider 2 is a really old game, first released in 1996. But this was the game that introduced me to the concept of a walkthrough, and throughout the Tomb Raider series, I have had to resort to those often. Recently, the puzzles have become much easier, but if you don’t mind the low-quality graphics, Tomb Raider 1, 2 and 3 have some of the best puzzles I’ve seen in video games. And hey, it’s got one of the most badass female video game characters ever The 3 Most Badass Female Video Game Characters Ever [MUO Gaming] The 3 Most Badass Female Video Game Characters Ever [MUO Gaming] It is a sad fact that video games are an entertainment medium that caters mostly to men. As a result, most of the main characters in games tend to be male, and many females are... Read More . The mega-hit mobile game series is also available on desktop through an app for Google Chrome. It’s the same Angry Birds with all its many, many levels for you to enjoy. Millions of people across the world love this game for the kind of satisfaction it gives you when you solve a seemingly unsolvable level, especially if you earn all the gold stars to go with it! And hey, we can tell you how to unlock all levels and play on any browser Play the Angry Birds Game in Your Browser Right Now, For Free Play the Angry Birds Game in Your Browser Right Now, For Free Are you too productive working on your computer? Good news! Angry Birds is now available on every computer, so you'll never actually work again. Or, at least, never be able to. That's right, the infamously... Read More as well. Like I said above, Tomb Raider 2 was the game that first pushed me to look up a walkthrough, but I was a kid at that time. Now, I completely avoid walkthroughs and prefer to figure out the solution even if it takes some time. Do you use walkthroughs, and if yes, how much do you have to be pushed to resort to them? Kerbal Space Program. Only it won't make you feel smart, it will make you feel stupid, while actually making you smarter. I love the collection. It wouldn't hurt to add LIMBO to the set, though, right? I think it's pretty good.